THEN . 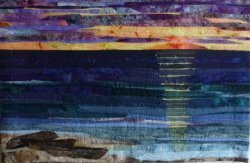 . . Sign up to take Connie's class on Free Form Fusing. For more information and class description, just click HERE. Make sure you sign up sooner than later. Spots are already filling up F A S T ! ! ! Meet Misty's Puppies -- May 11th -- 3:00 p.m. So many of you have asked and all ELEVEN of Misty's puppies will be in the shop on May 11th from 3:00 p.m. until close. Come get some puppy kisses! 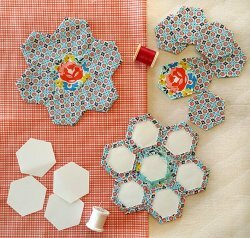 English Paper Piecing -- May 19th -- Join Lori as she teaches you Quilting On the Go with English Paper Piecing. Two classes available. Just click HERE to pick the one for you! This is a great way to take a project with you on those summer outings! This class is ongoing! You can join at anytime. 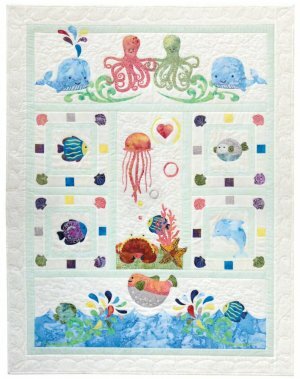 Learn 12 basic blocks and by the time you are finished, you will not only have a beautiful quilt, but you will be able to confidently tackle almost any project in the shop. Call your friends and come and learn! Cost of class is $75.00. Our batiks are just getting better and better. 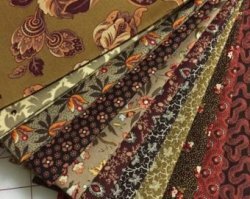 Join this club and receive five fat quarter for $12.50 and then get 10% off the bolt of yardage of your favorite for that month! Call us and we will get you signed up. Sunday, April 29th is the last Sunday that we will be open until Fall. Come in and see us!